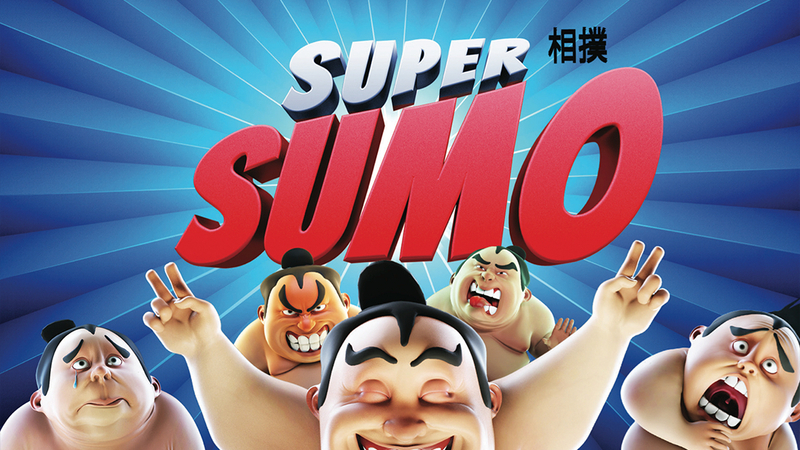 Super Sumo is a new and exciting slot showcasing at Fantasma Games. 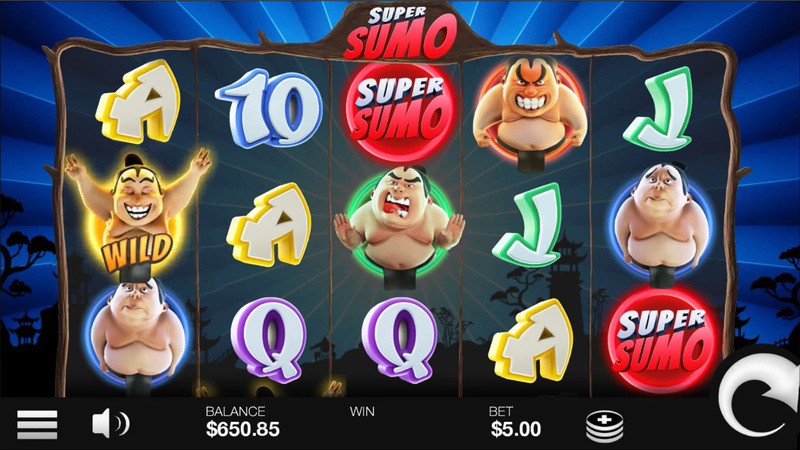 Fast paced, highly rewarding with 3 rows, 5 reels and 25 paylines, it has a fun visual Japanese theme and simple, great graphics. 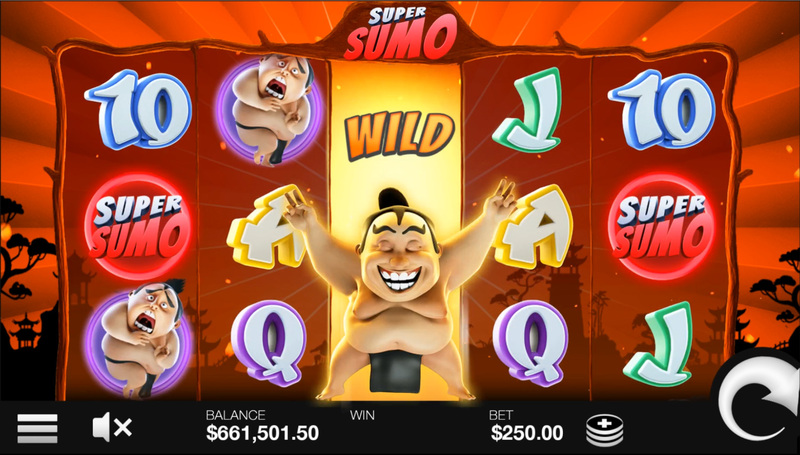 It has plenty to keep all players interested, offering stickywilds, bonus scatter symbols, re-spins and a super freespins round!